De boeken en DVD's van Linda Tellington-Jones zijn verkrijgbaar bij Media Boekservice en www.ttouch.com of vraag een van onze Practitioners. 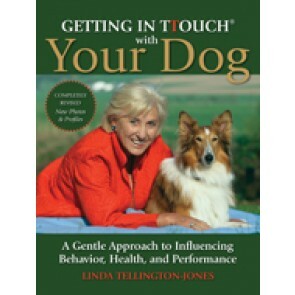 In this revised edition of her bestselling book Getting in Ttouch, world-renowned animal behaviorist and horse trainer Linda Tellington-Jones explains how to analyze the meaning of all the physical traits that indicate the horse’s true personality; his inborn character. Learn how to “read” your horse’s head conformation, as well as the “swirls” (patterns in the lay of hair) on his face and body. Linda provides detailed illustrations and exercises to help train your eye in identifying these characteristics. TTouch kun je ook bij mensen toepassen. Het boek TTouch for Healthcare (voor mensen) geeft een goed overzicht van de TTouches die je kunt gebruiken in de gezondheidszorg. 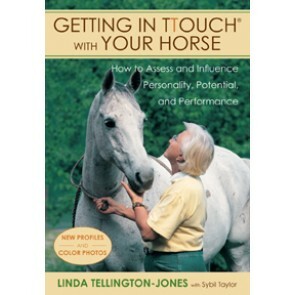 TTouch for Dressage and Sporthorses by Linda Tellington-Jones. When Linda first met Weltall he was an extremely talented, but also very spooky grand prix horse. His rider, Dieter Laugks, had to frequently break off at events because Weltall spooked and backed off whenn someone in the audience just stood up or went by. After her treatment Weltall succeed 12 times in series at national and international grand prix events! on this dvd Linda explains the importance of the TTouch especially for sport horses. You will learn the techniques of 12 different TTouches.